Our last elder meeting, I brought Romans 12: 1-8 to our study time for us to dig into. Unlike many who really prepare something to share…. a lot of times, I come across something that I want to experience with the others more than present so I didn’t put a lot of pre-thought into it. I just brought it, we read it, and then started to dig in. I found I was really captivated by this Scripture in this moment and with this group of leaders in our church. There were some simple truths that I wanted to explore more and I have been thinking about and praying over these verses for two weeks. This blog is an attempt to get some of this down in a purposed manner. While this applies to many gifts, the context of our talk was leadership so I will spend most of my typing on “if it is leadership, let him govern diligently”. However, this is not just for church leaders so I will hit some generic at the end. “If it is Leadership”: The premise of the study starts with this, are you gifted to be a leader? We must each ask ourselves what gift(s) God has entrusted us with, not what gifts do we wish we had. A true and honest examination of what are made to be leads us to where God intended us to go. Too many church environments look for bodies to fill seats instead of who God is raising up in different roles. Or sometimes, someone accepts a role or is given a role only to find out it might not be the best fit. Being in a leadership role within the church is a noble desire but it’s not for everyone. The questions is “Are you gifted to be a leader?” If yes, move forward with the blog. If not, find what your gifting is and move to where God intended so you are in your “sweet spot” and things go smoothly instead of people getting hurt. “Let him”: The next question is “If your gifted to lead, are you?” This is an interesting question that challenged me the most of the three. After being in the same church environment for nine years serving with a trusted friend who has been on leadership for basically the same amount of time, natural questions arise of how long before you get “fresh blood” in there or are you working one person too hard for too long? I was raised in churches with term limits. We do not have them. We review each role every two years to see if the person and God seems to still be feeling the continuation in that role. I have always felt uncomfortable with term limits simply because it’s not in the Scripture and it dictates to the Spirit how long some one could serve. Actualy, when I look at the Word, most leaders had no time limit; David, Moses, Joshua, Daniel….. It was if you are a leader, then let him lead. – new blood comes in with new people, not the replacement of experienced ones. “govern diligently”: We spent some time on this challenge. If you are a leader and you are leading, what does it look like to govern diligently? Conduct the policy, actions, and affairs of (a state, organization, or people). Having or showing care and conscientiousness in one’s work or duties. If you are in church leadership, ask yourself… what our you leading? Not what is the team leading… What are you leading? Can you point at anything in the church you are leading? If you are on the sidelines as a yes man or just along for the ride, it’s time to step up or if your filling a seat that you are not gifted for, step off. There is no shame in it and you’re the better person for it. Find what you are gifted for and then do that. Also, lead well…. Don’t do it with half a heart but pure yourself into the role. If you make a commitment…keep it. Be on time, be in front of the ball, offer yourself into the role, and lead. If you feel overwhelmed or find yourself often making excuses for dropping the ball, it’s time to step up and consider if you are in the right role. Being a leader means God and others are counting on you to be in front so govern diligently. And here’s the part for all…. 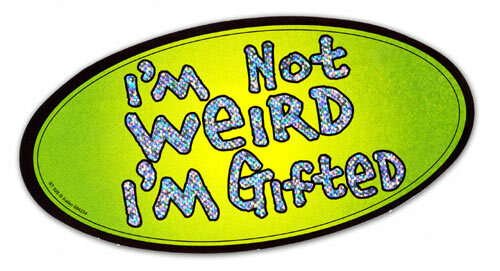 What are you gifted for? Are you doing it for the Lord? Are you doing it well? I find that often what people are gifted to do, they tend to find a paying job doing it. Then when it’s time to do it “for the ministry”, they are burned out and either don’t do it or don’t do it well. Whatever you are gifted for, it’s important, it’s for the Kingdom and it will effect lives. Make sure you take the time to seek what you are called to do and do it well. If you’re in a place that is not yours, step off and let someone else fill that roll (even if you don’t know who could…God knows), and then step into what you were designed to be and you will see great and powerful things!